The Marines set out to answer a question: Can women perform at the same level as men in the infantry? While adversaries of the women’s combat exemption have been hard at work trying to discredit the testing and the results, the Marines’gender integration study was executed according to the Department of Defense’s (DoD) required methodology. It had buy-in and observation from the Center for Strategic & International Studies, the University of Pittsburgh, Michigan State University and Rand Corp. 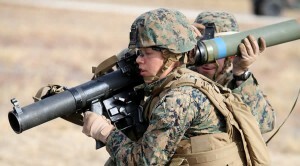 Contrary to the claim that the Marines were biased against the females, participants and overseers say the opposite was true. There’s more. It’s disgusting. But not surprising.